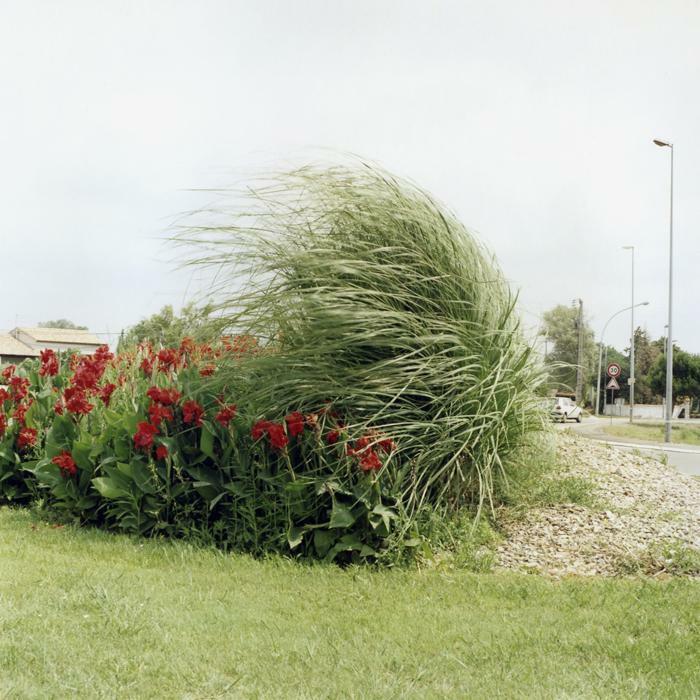 Brigitte Bauer's photographic oeuvre spans more than a decade with great coherence but without the concern for system that this term sometimes calls up. 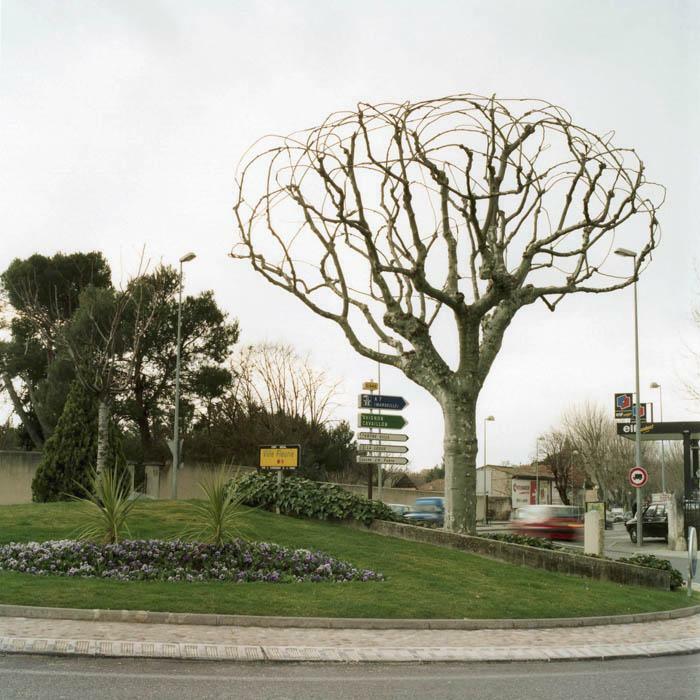 Initially known for her colour photographs of the Sainte-Victoire mountain, she has since pursued her reflection on the contemporary landscape through two series respectively dealing with roundabouts and the new tended green spaces in city centers or on their outskirts. 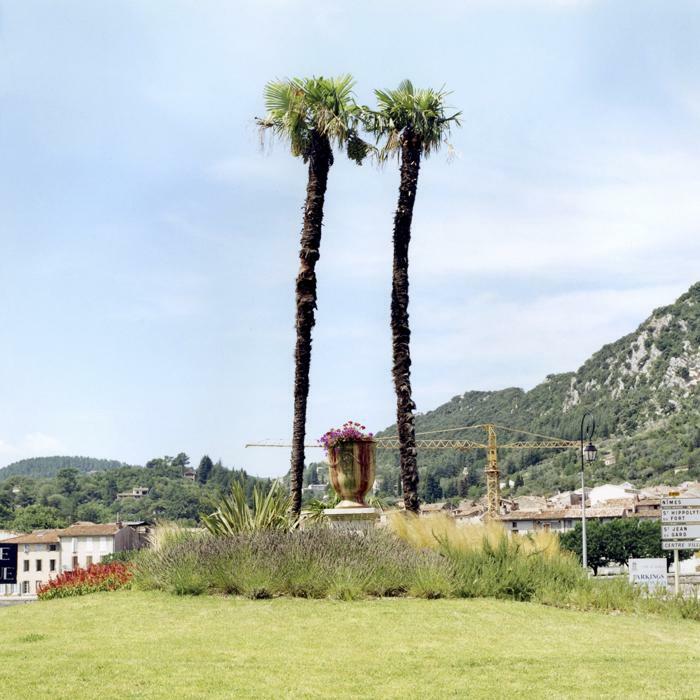 This evolution has allowed for a more subtle appreciation of her work, which might have seemed to adhere to a purely contemplative current of photography, as a result of the grandiose and majestic silhouette of the Sainte-Victoire as a leitmotif. 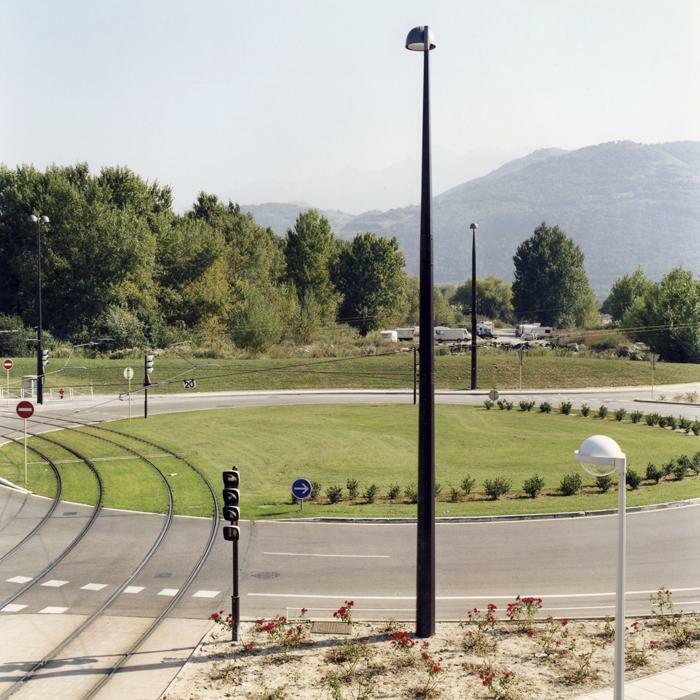 With the roundabouts and the public parks, the dialectic sustaining her approach to landscape becomes clearer; our images of nature confronted with the modifications exerted by socio-economic mutations on the territory. 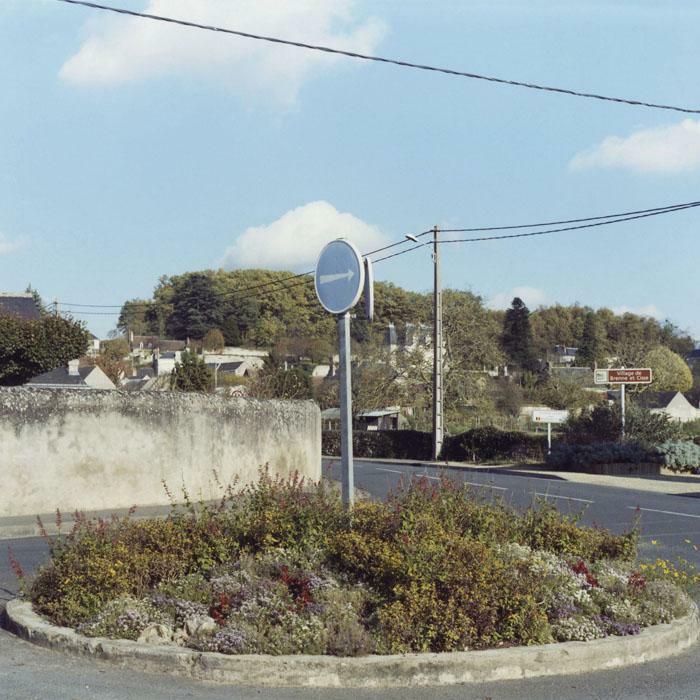 By dealing with the roundabouts she replaces the experience of a unique « museumized » site with a collection of micro-landscapes whose situation destines them to an ephemeral and distracted vision. 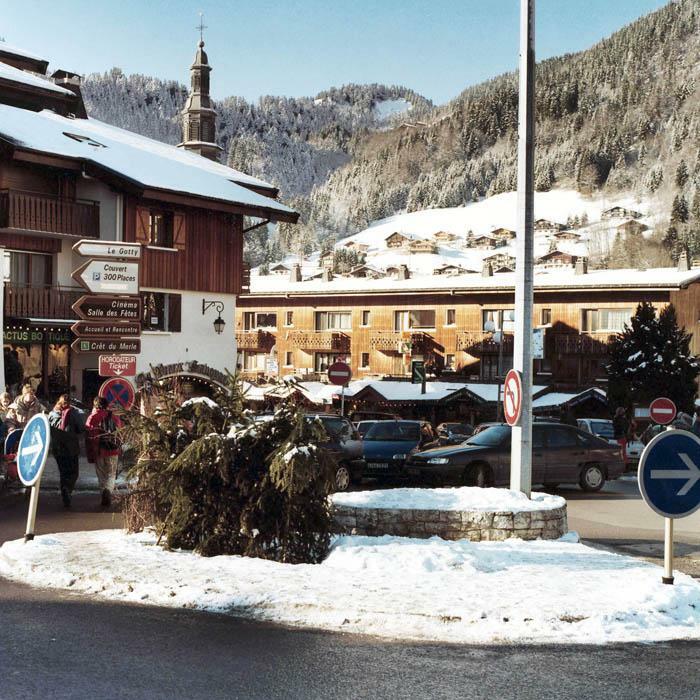 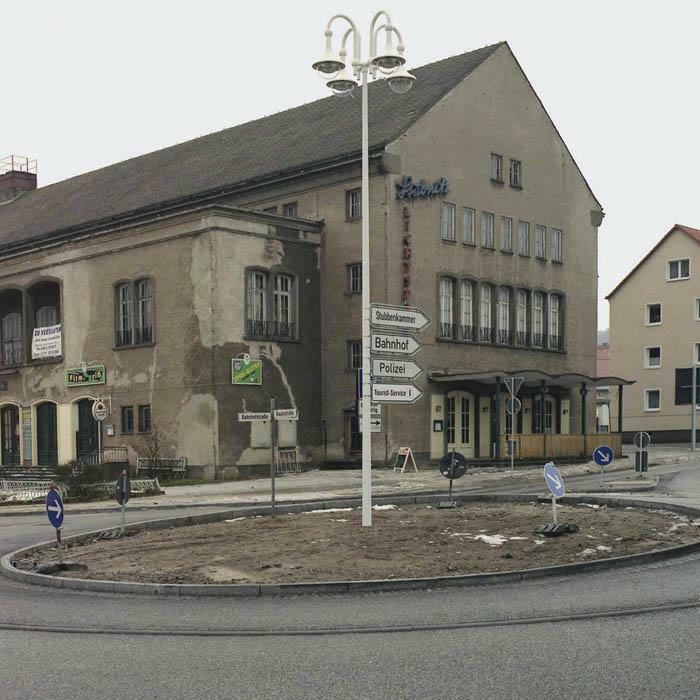 Brigitte Bauer invites us to decipher these places without past, springing up ex-nihilo on the sites of the roundabouts. 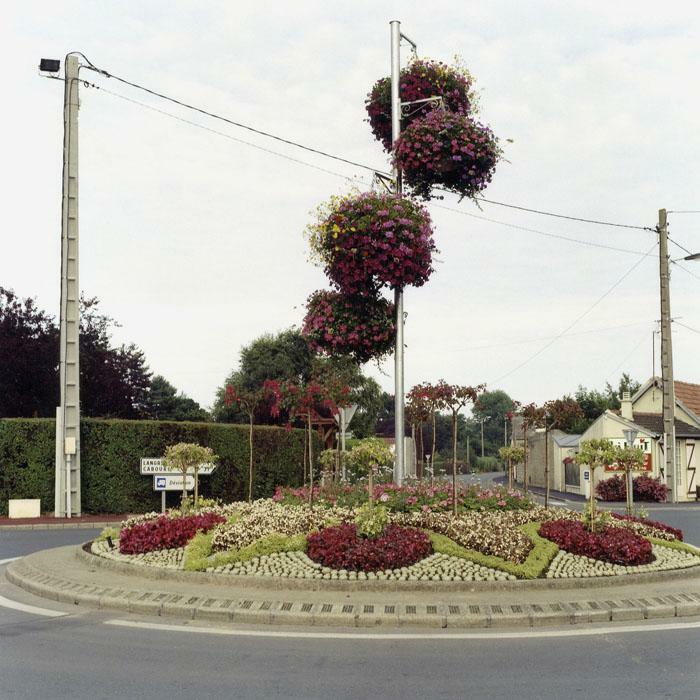 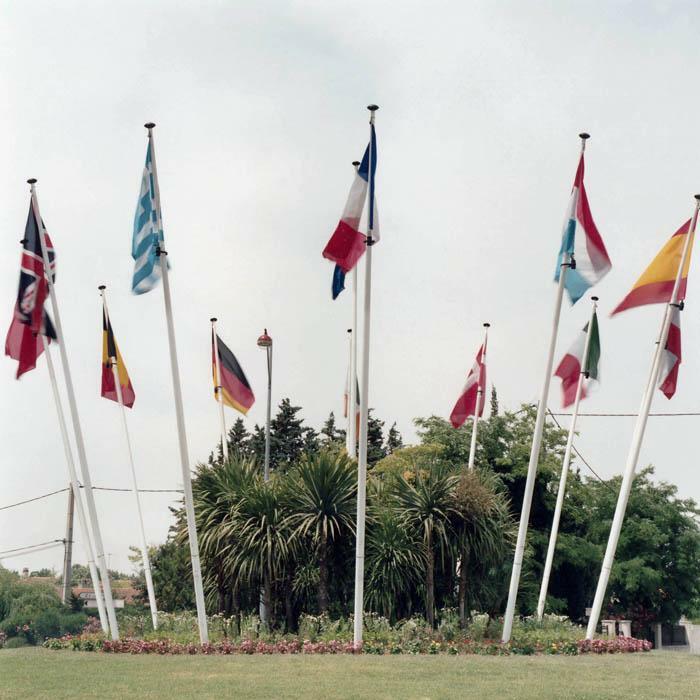 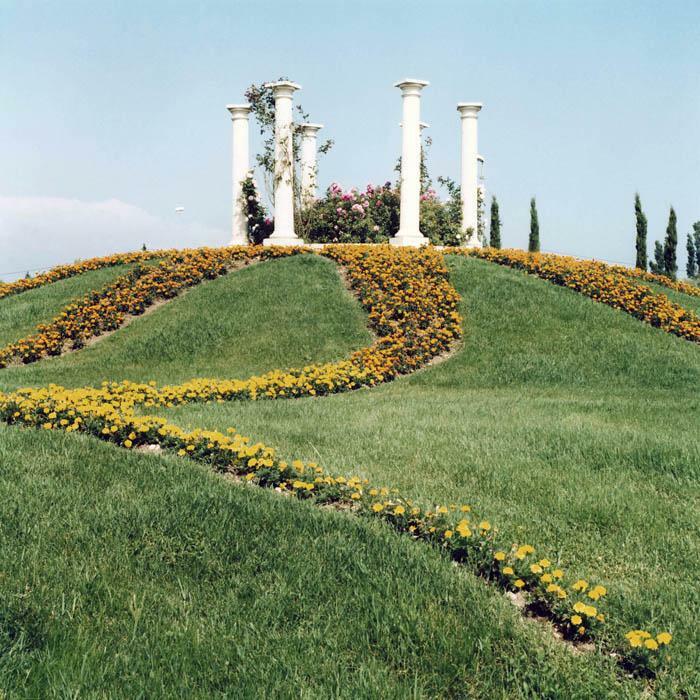 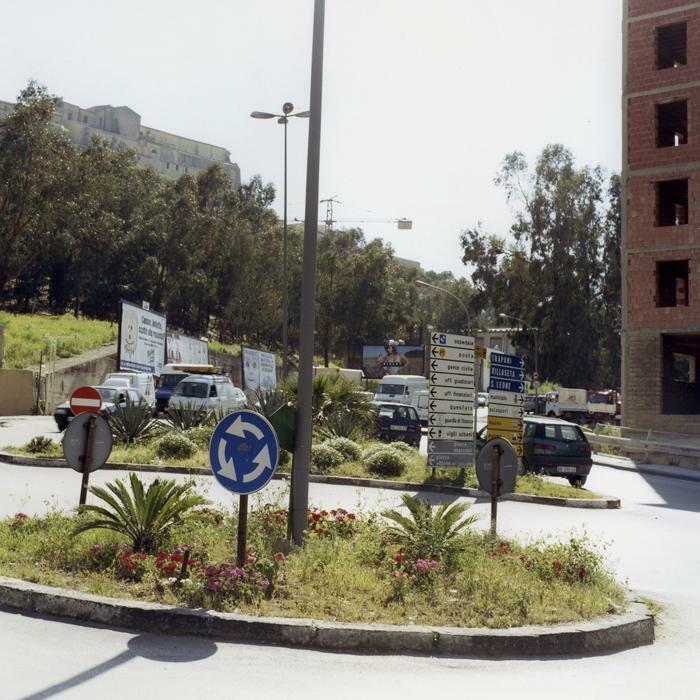 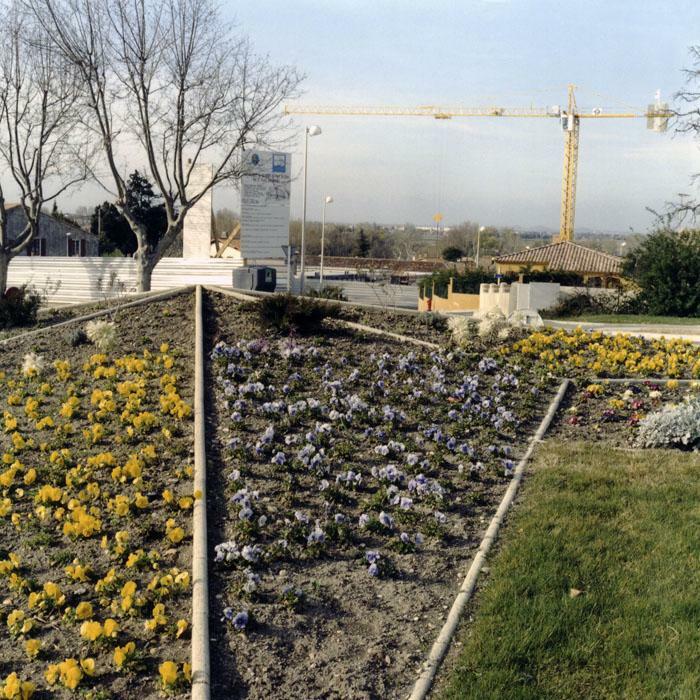 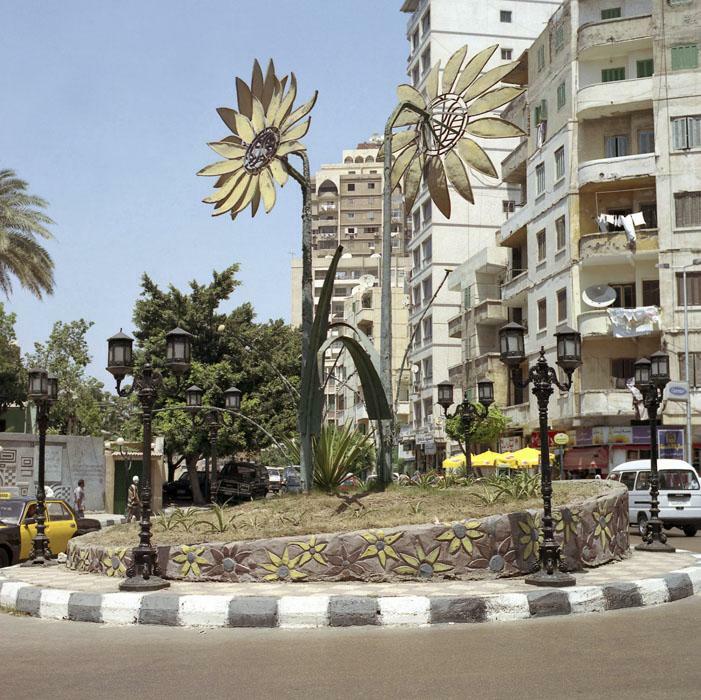 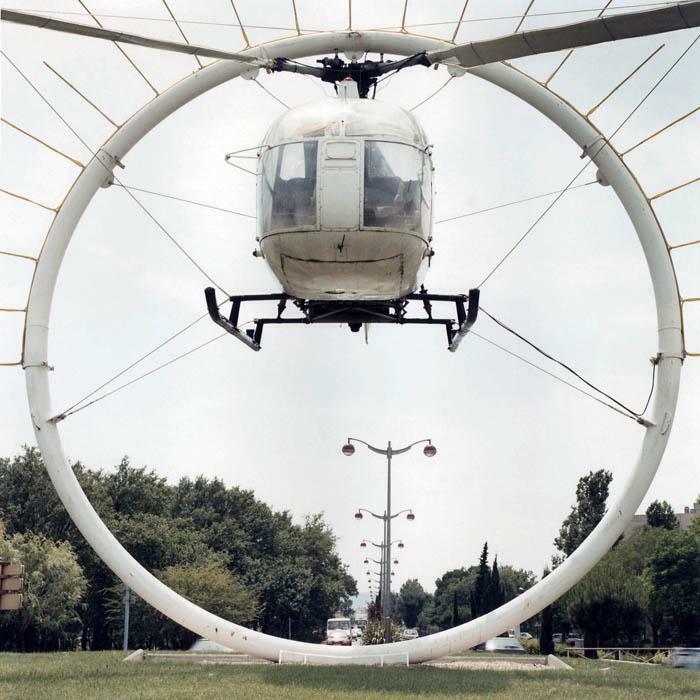 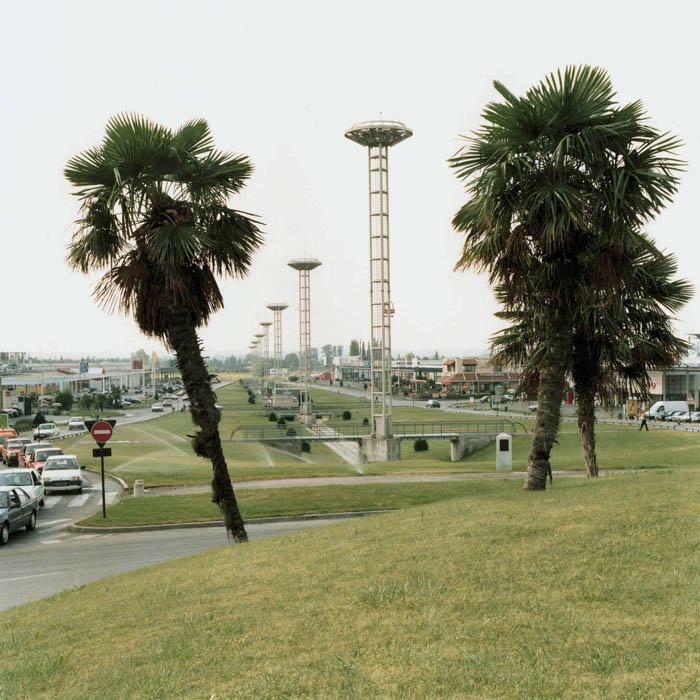 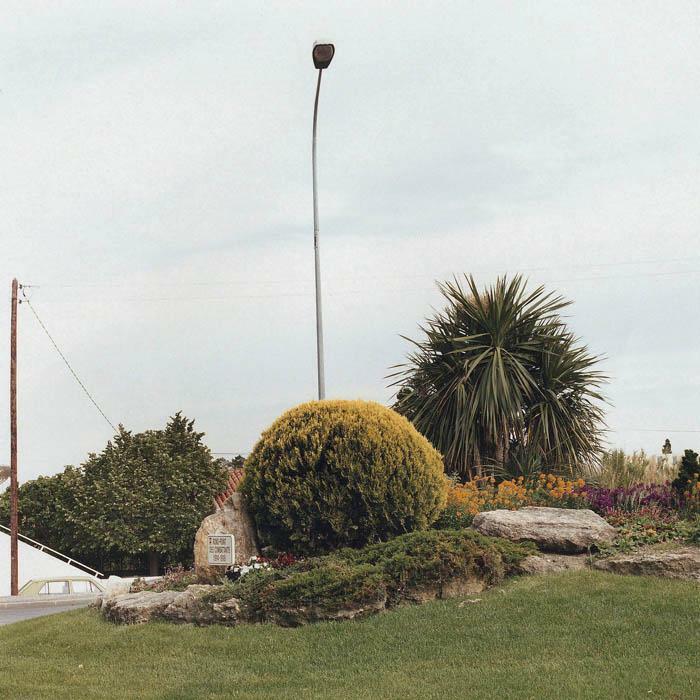 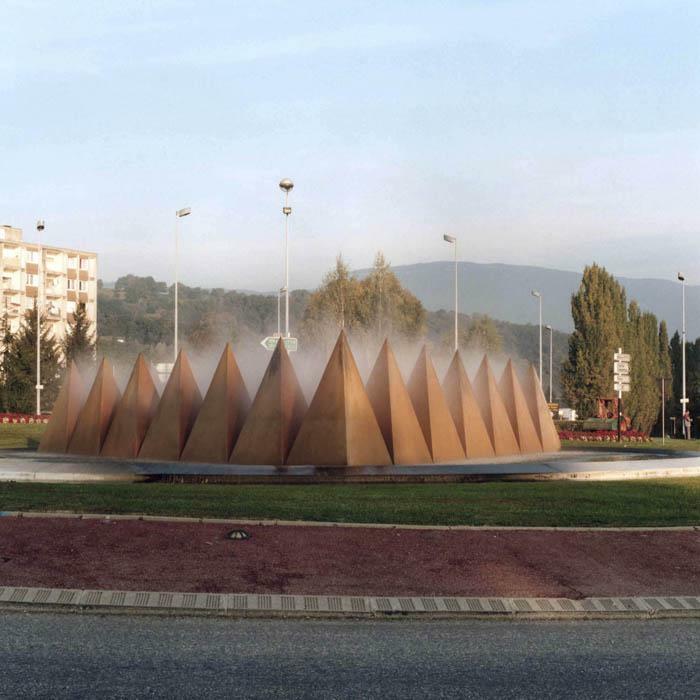 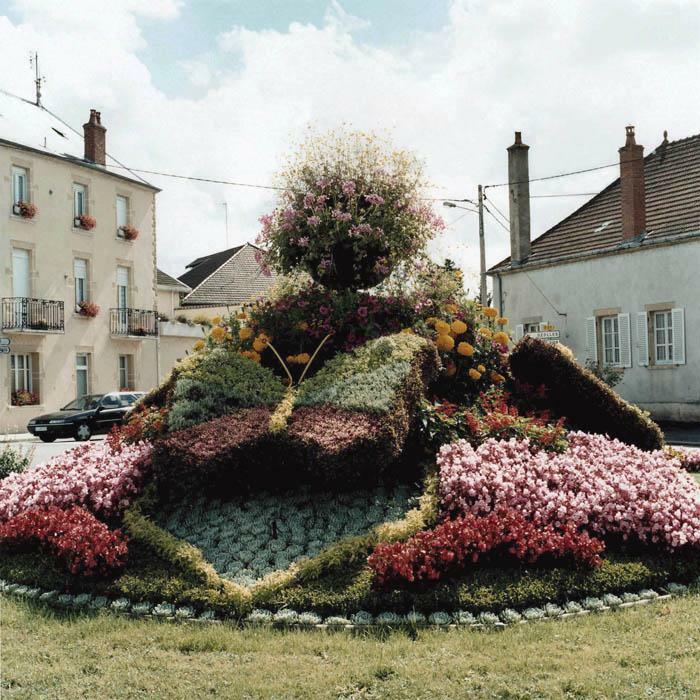 From one to the next, following the assemblages of disparate elements borrowed from landscape representation (rocks, columns, and cypress trees), the roundabouts appear as places injected with a memory, the memory of a tradition that survives through quotations and stereotypes. 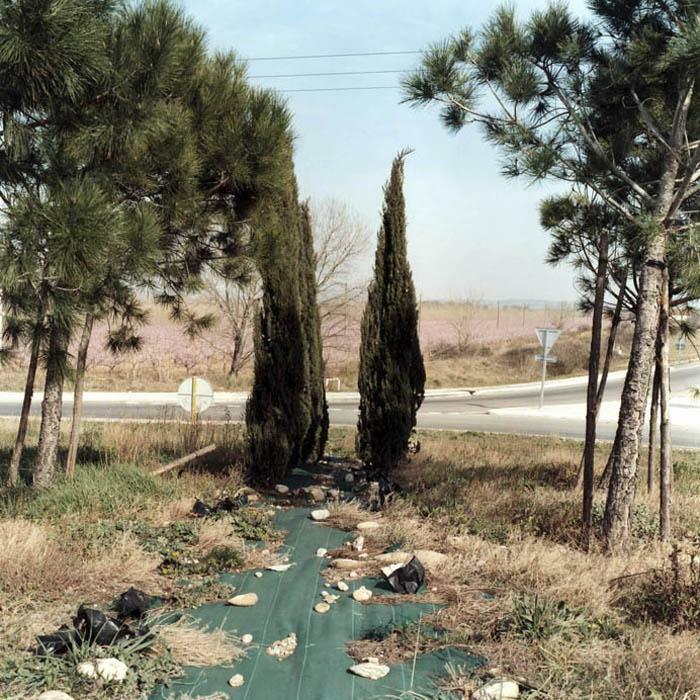 Her photographs realized in parks extend this thematic: removed from their historical context and recycled in their new environment, the medieval paddock, the Japanese bridge, and classical perspective become empty signs, purely decorative, the objects of an erudition which doesn't always escape kitsch. 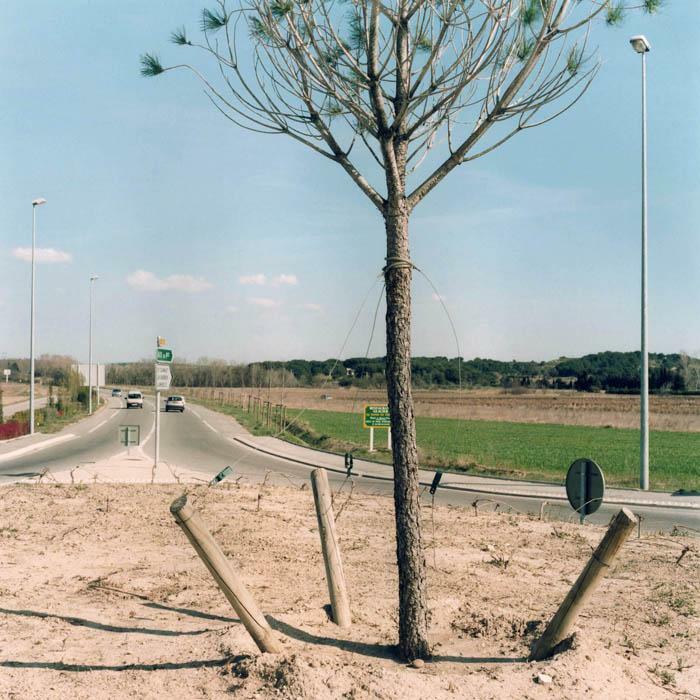 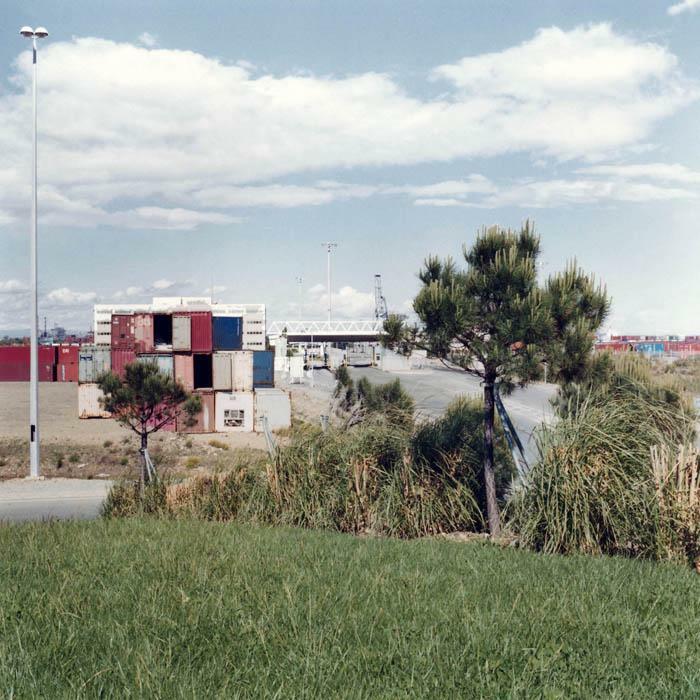 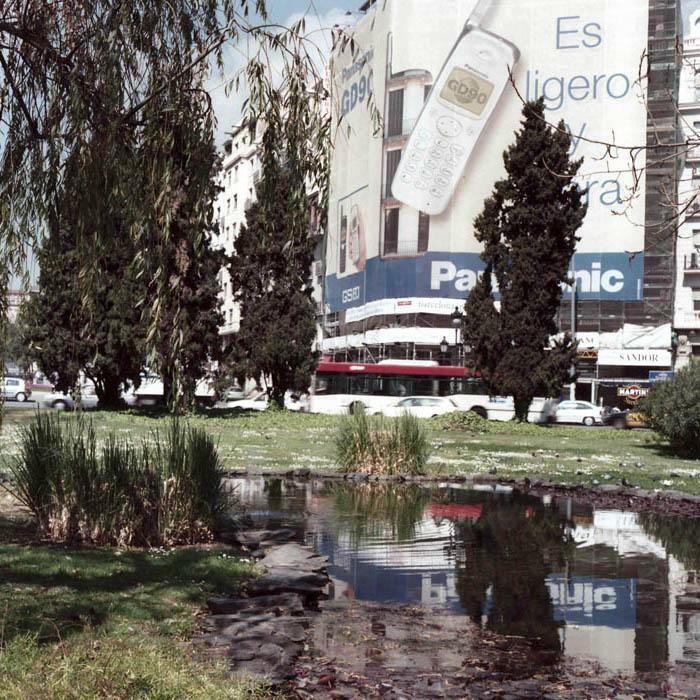 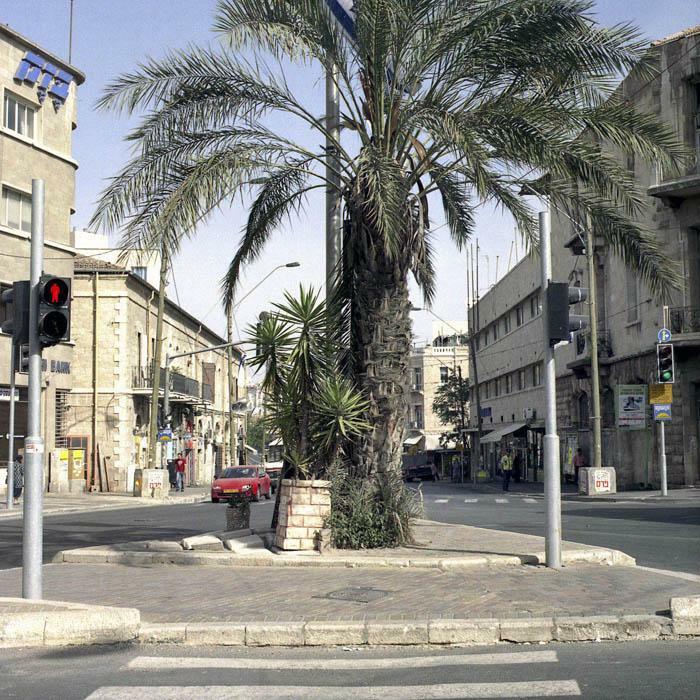 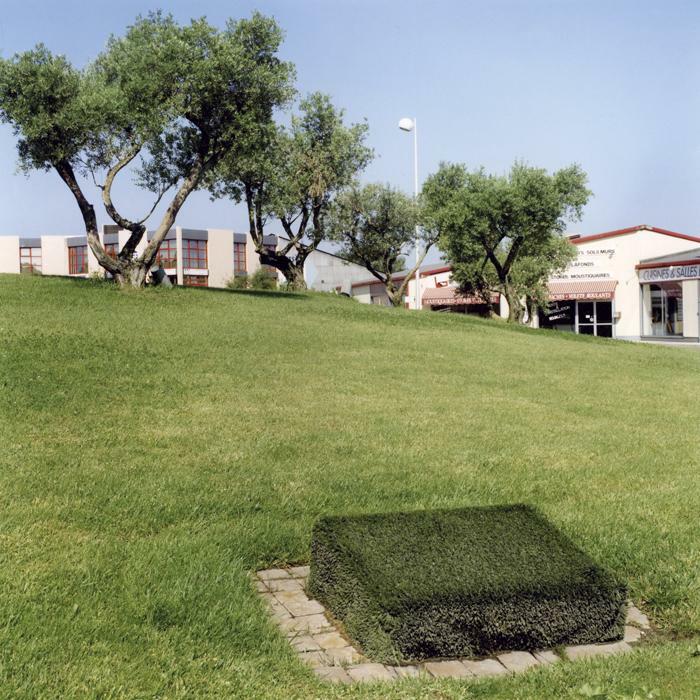 In this series, the artist more specifically deals with the place of the vegetal in the urban space. 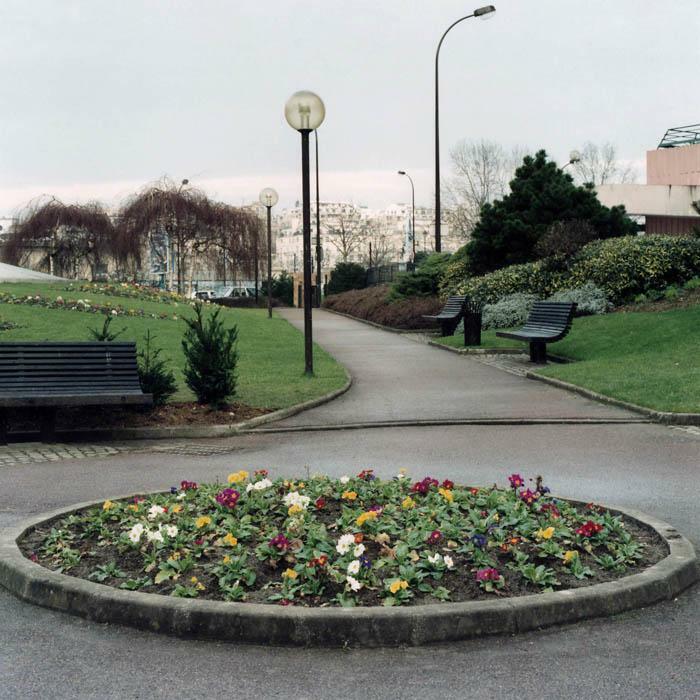 Not without a discreet irony, she underlines the intrusion of references to the agricultural world in the city environment: le verger, the garden, weeds, archetypes that transform the public garden into a conservatory of our preconceived notions and the theatre of bucolic nostalgia. 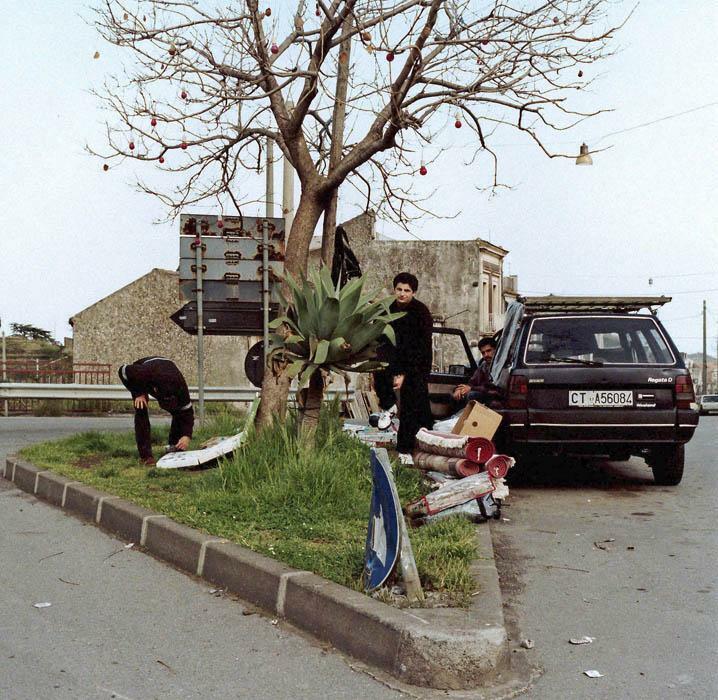 In the purest documentary tradition, Brigitte Bauer reports what she sees in a way which is however neither bitter nor austere. 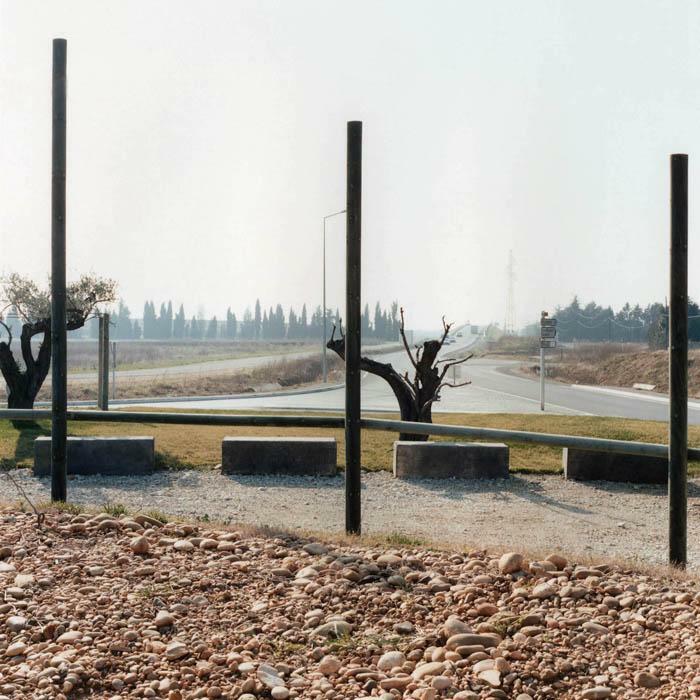 The obviousness of the compositions, the transparency of the light, and the subtlety of the tones owe nothing to chance. 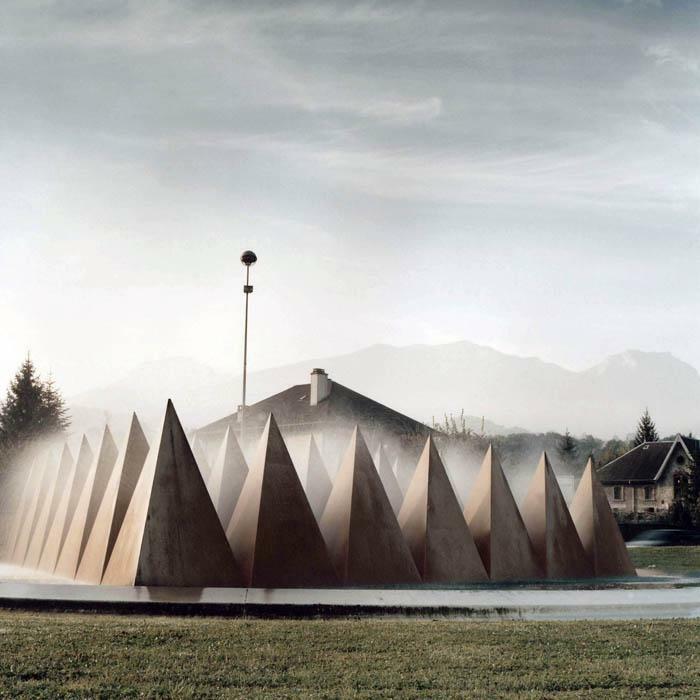 Visual seduction is a concerted trap the artist sets for, us to protect herself from all Manicheism. 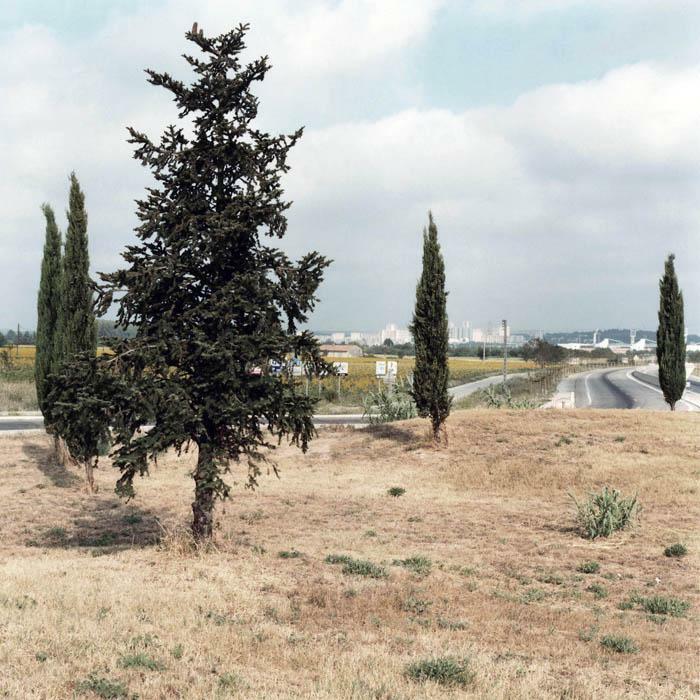 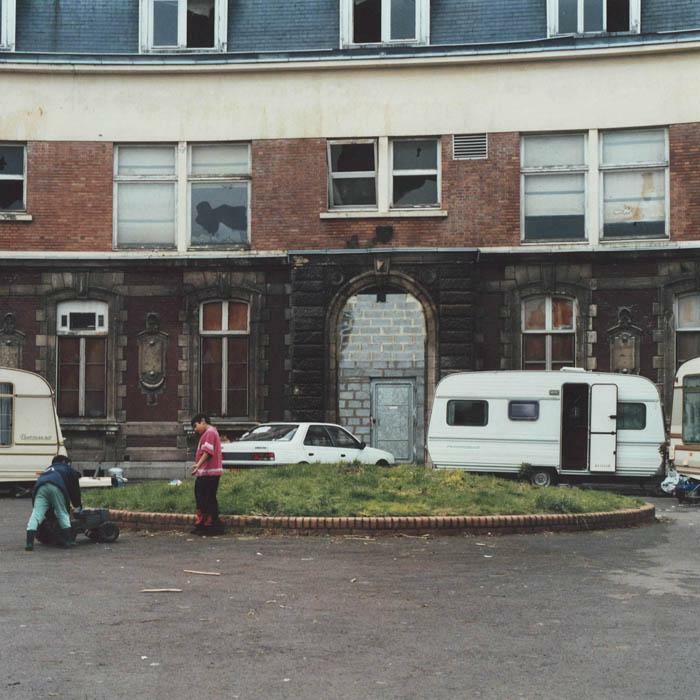 The spectator will be surprised, in the same manner as the author perhaps, to enjoy these artificial, prepared landscapes, these places belonging to a culture which will be more than ever what remains once all has been forgotten.